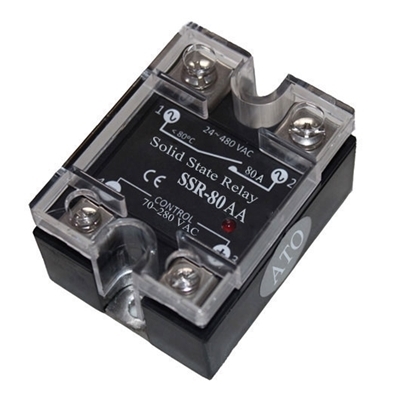 60A 3-phase solid state relay (SSR) with 3-32V DC input and 24-480V AC output features compact size, high structural strength, good impact resistance, and strong shock resistance. The SSR offers a reliable switching the commercial and industrial loads, such as computer peripheral interface device, printing machine, molding machine, food machine, packaging machine, and so on. Load capacity of SSRs is greatly affected by the ambient temperature and its own temperature rise. During installation and use, good heat dissipation should be ensured. 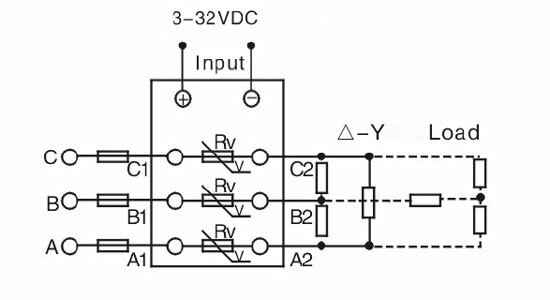 The product with the rated working current above 10A should be equipped with a radiator and above 100A should be a radiator and a fan for forced cooling. 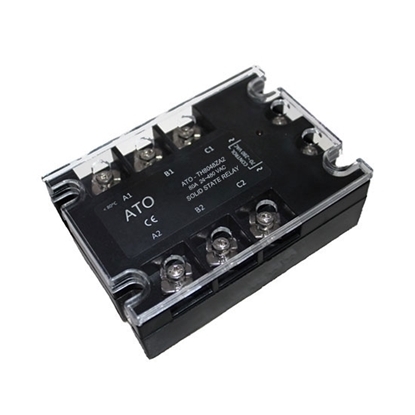 In the installation, pay attention to good contact between the bottom of the relay and the radiator, and consider appropriate amount of thermal grease coated in order to achieve the best cooling effect. 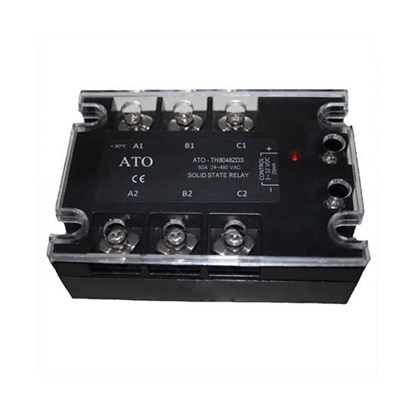 If the relay is working at high temperature (40 ℃ ~ 80 ℃) for a long time, the user can consider derating to ensure normal operation according to the maximum output current and ambient temperature curve data provided by the manufacturer.